DC Envelope Printer App Version - Douglas Computing, Inc. Determining current version of the DC Envelope Printer. 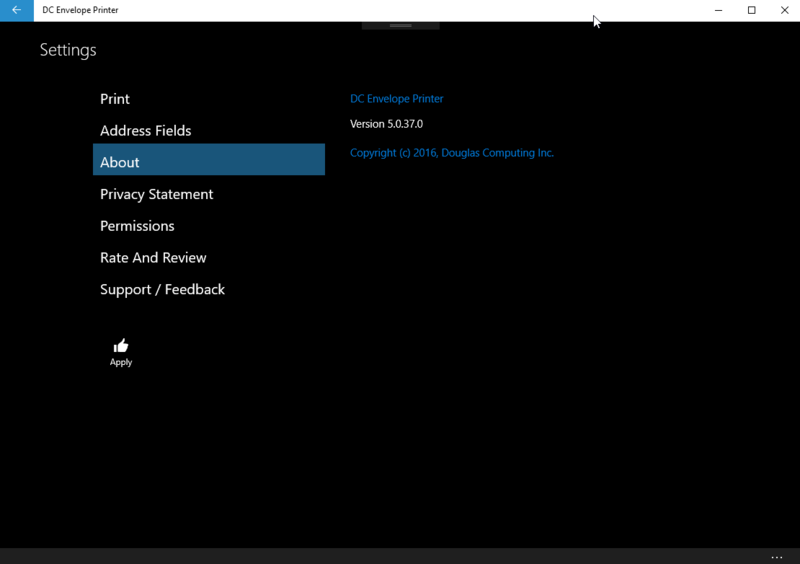 To determine the version of the DC Envelope Printer you are using, from the main page or bulk mail main page of the app, click on Settings on the bottom menu bar, then click on the button About, on the left of the resulting page.